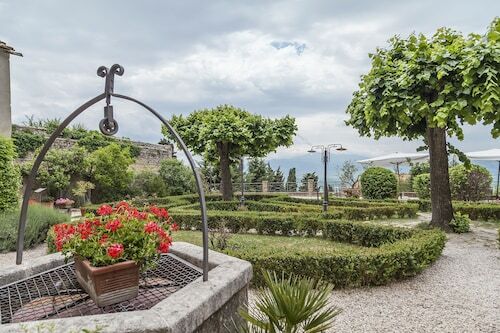 Situated in San Quirico d'Orcia, this farm stay is within 2 mi (3 km) of Chapel of our Lady of Vitaleta, Palazzo Chigi, and Collegiate Church of San Quirico. Horti Leonini and Pieve di Corsignano are also within 3 mi (5 km). Situated in a rural location, this farm stay is within 2 mi (3 km) of Chapel of our Lady of Vitaleta, Horti Leonini, and Collegiate Church of San Quirico. Palazzo Chigi is 1.3 mi (2.1 km) away. Situated in Pienza, this farm stay is within 3 mi (5 km) of Horti Leonini, Collegiate Church of San Quirico, and Palazzo Chigi. Chapel of our Lady of Vitaleta and Pieve di Corsignano are also within 3 mi (5 km). 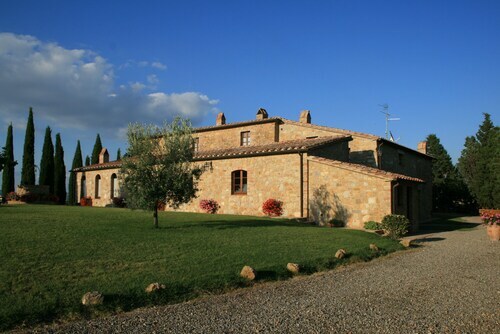 Situated in Pienza, this property is within 1 mi (2 km) of Pieve di Corsignano and Chapel of our Lady of Vitaleta. Palazzo Piccolomini and Piazza Pio II are also within 2 mi (3 km). 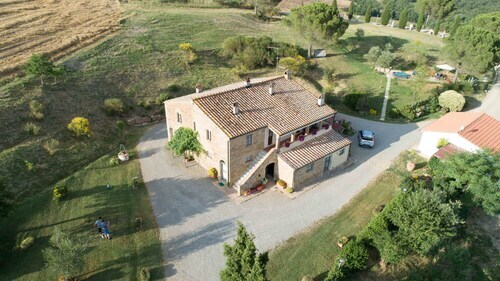 Situated in Pienza, this property is within 2 mi (3 km) of Pieve di Corsignano, Palazzo Piccolomini, and Palazzo Comunale. Pienza Cathedral and Museo Diocesano are also within 2 mi (3 km). 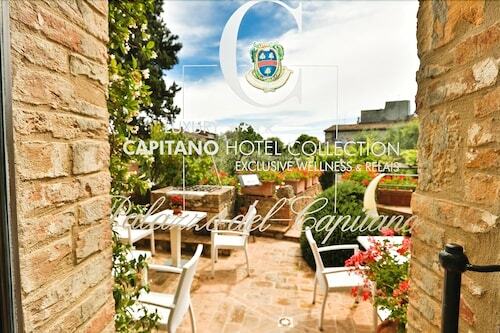 Situated in a rural location, this spa hotel is within a 15-minute walk of Horti Leonini and Collegiate Church of San Quirico. Piazza delle Sorgenti and Piazza Pio II are also within 6 mi (10 km). Situated in San Quirico d'Orcia, this farm stay is within 3 mi (5 km) of Horti Leonini, Collegiate Church of San Quirico, and Palazzo Chigi. Chapel of our Lady of Vitaleta and Palazzo Piccolomini are also within 6 mi (10 km). 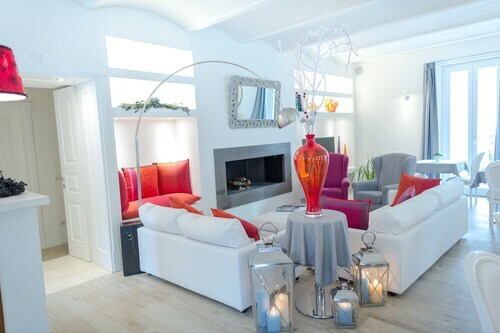 Situated in Pienza, this villa is within 1 mi (2 km) of Pieve di Corsignano and Palazzo Piccolomini. Pienza Cathedral and Piazza Pio II are also within 2 mi (3 km). You'll definitely enjoy your visit to Chapel of our Lady of Vitaleta. Some explorers like to see the national capital, Rome, first. 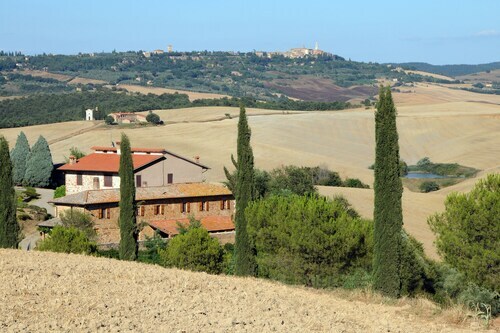 After you're done there, it is 90 miles (145 kilometers) to Val d'Orcia, where the attraction is located. If you're looking for a suitable hotel, you will be able to take your pick from 7 candidates that are within 2 miles (3 kilometers) of Chapel of our Lady of Vitaleta. Many tourists enjoy the Wellness Center Casanova Hotel e SPA, 1 mile (2 kilometers) away, the Agriturismo Il Rigo, 1 mile (2 kilometers) away, and the Agriturismo La Buca di Bellugi, 0.8 miles (1.3 kilometers) away. A memorable getaway doesn't have to drain the bank account. 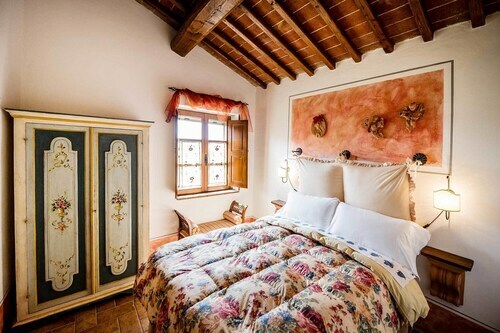 Book a room at the Agriturismo Bonello, 0.9 miles (1.4 kilometers) away, to stretch your budget as far as it can go. Are you a traveler who has sophisticated tastes? You can find a small assortment of upscale establishments situated a quick drive away. 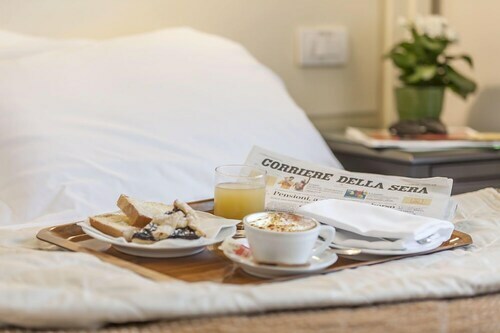 Quality choices would have to be the Adler Thermae Spa & Wellness Resort and Hotel Osteria Dell Orcia. Visitors to Horti Leonini, a charming private garden, are enchanted by its gorgeous flower beds and botanical displays. Arrange for a guided tour of Palazzo Chigi, an iconic local landmark and among the region's must-see sites. Enjoy a visit to Collegiate Church of San Quirico and get acquainted with the peaceful and spiritual side of the area. If you're looking for somewhere to quietly ponder the religious aspects of our existence, head to Pieve di Corsignano. Make arrangements to go on a guided tour of Palazzo Piccolomini, an iconic local landmark and among the area's must-see attractions. How Much is a Hotel Room in Chapel of our Lady of Vitaleta? Hotels in Chapel of our Lady of Vitaleta start at $60 per night. Prices and availability subject to change. Additional terms may apply.